Primary Schools are now required to publish alongside their Performance information a list of their childcare provision, making it easier for parents to know what is available. 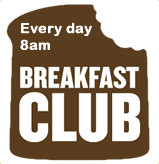 Breakfast Club is open every weekday, during term time, from 8.00 – 8.40am. Your child(ren) can be dropped off at any time between these times, but breakfast is only served until 8.30am. Breakfast Club is free to attend. Breakfast items including: cereals, beans on toast and fruit juice, can be purchased from the kitchen, all items are priced between 20p-50p. Our breakfast club is extremely successful and well-attended, and children enjoy taking part in a range of activities, such as table-football, board games and colouring-in. We are currently consulting parents, about the possibility of providing childcare provision, after school.